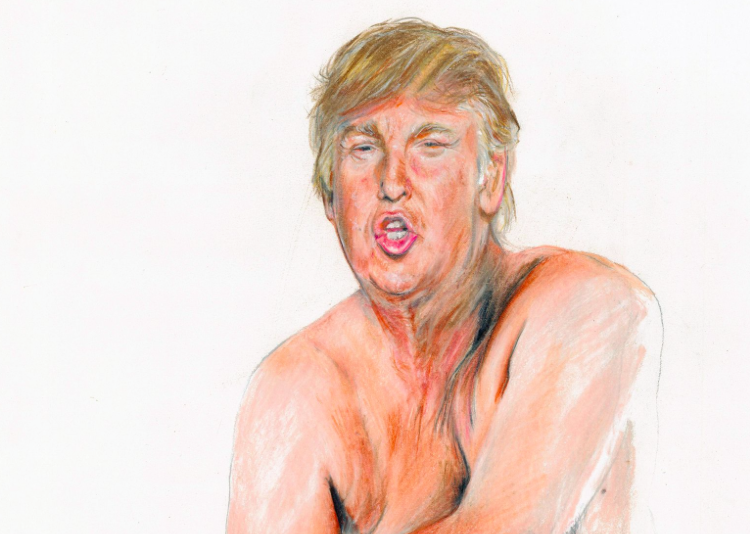 A highlight of the exhibition is Illma Gore’s controversial Donald Trump artwork, Make America Great Again. The piece made headlines around the globe and is one of the world’s most talked about pieces of contemporary art, with thousands flocking to see the original at Maddox Gallery after it was famously censored in the America. Due to popular demand, Make America Great Again will remain on display throughout the summer. Contemporary painter and ceramicist Dan Baldwin is at the forefront of the new Young British Artist movement. His mixed media work is magnificently textural, ethereal and poetic, bridging the gap between abstract and figurative by creating images dense with symbols and layers of meaning. Baldwin's paintings, prints and ceramics have been exhibited around the world. He has enjoyed a stream of critically lauded sell-out solo shows and presented his work in art fairs in Basel, Miami, L.A, Tokyo, San Francisco, London and New York. In 2014 Baldwin collaborated with internationally acclaimed singer Paolo Nutini, creating the record cover artwork for his single Scream (Funk My Life Up). British painter Chris Moon's work will be coming to the gallery as well as Finn Stone's work. Stone creates artworks by painting onto paintbrushes, transforming the brushes into works of art themselves. Stone pays homage to the greatest of painters and their craft, from Van Gogh, Vemeer and Da Vinci by recreating their iconic masterpieces in his signature style.